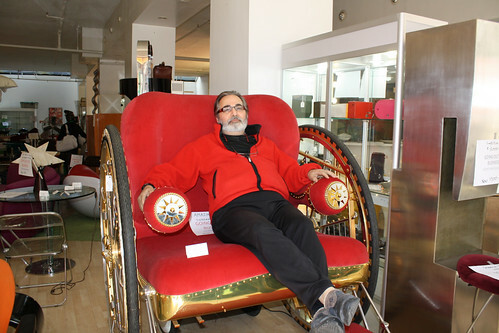 Stephen Rex Brown Ronald Bell, seated in a Swedish throne used in an opera, must close his 10-year-old business by April 20. Ronald Bell is having a going out of business sale, but the feud with his landlord may not be going anywhere. Following a lengthy dispute over money owed to the co-op at 48 Great Jones Street, Mr. Bell is closing Art & Industry, his 10-year-old store packed with mid-century modern furniture, art and knick-knacks.